Those who make it to the other side of breast cancer can develop secondary issues that arise due to the cancer treatment. When it comes to breast cancer, one such issue can be caused by the removal or damage of lymph nodes, resulting in the buildup of fluids – a condition called lymphoedema. 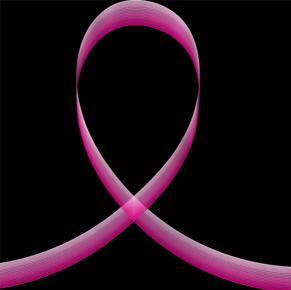 It is estimated that about 20 per cent of breast cancer survivors develop lymphoedema. Lymphoedema is also common in those with melanoma, bladder, gynaecological, prostate, and head and neck cancers. Lymphoedema is the buildup of lymph fluids in tissues, causing painful swelling, often of the arms and legs. This is typically managed by physical therapy, massage, compression garments, and exercise to help the fluid reabsorb, but that usually isn’t enough to keep it at bay. Legs and arms can swell up without relief, causing pain and discomfort, difficulty with movement, and major issues wearing normal clothes and shoes – sometimes just one limb will swell up more than twice its normal size. It can severely interfere with one’s ability to live a normal life. Macquarie University Hospital is now pioneering a liposuction treatment for lymphoedema sufferers, with over 50 patients so far undergoing treatment. Results indicate that liposuction is very effective at removing the excess fluid and tissue that accumulates in lymphoedema, providing relief, with many patients able to live normal lives. Some patients’ limbs returned to their normal size six months after liposuction treatment, with ongoing rehabilitation and compression therapy. Professor Boyages is seeking funding to set up an Australian lymphoedema education, research and treatment centre, with the hospital also recruiting breast cancer patients for an international lymphoedema study. Some patients in this lymphoedema program are also undergoing trials in lymph node transfer and a microsurgery that redirects lymph fluid into veins (lymphovenous anastomosis). Liposuction is not yet available via the public health system for lymphoedema sufferers, though patients can attend private clinics like ENRICH under advice from their doctor. To discuss your needs with one of Australia’s liposuction pioneers, contact us to arrange a consultation.